Few centuries ago in India, ‘Design Education of Craftspersons’ would not hold much meaning as it holds today. For Craftspersons were already practicing as professional Designers! When craft dies, it’s not only the artisans and their business that dies. With it dies an entire history, a legacy, a tradition, knowledge. This is where modern design academies have failed it – by their inability to unearth this wealth in a responsible way, and feeding it back into the mainstream as well as the community. Indian design schools, with their received models and concepts of design (rooted in the modernist/Industrial paradigm) have to question their very basis and locate craft at their centre. This is not a revivalist argument, but it does suggest that the location and practice of “design” needs to be opened to questioning and experimentation rather than being regarded as unproblematic and beholden to industry. While the problem is complex and has varied facades, it needs to be solved through various mechanisms working on all dimensions independently but simultaneously. 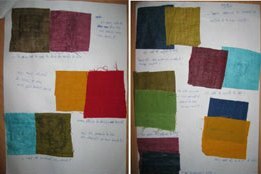 This paper narrates the story of one such attempt to break the code of this problem from one of the dimensions through an intervention envisioned to give design trainings to embroiderers, tie-dye and stitching – women artisans – in small villages of Bikaner district in Rajasthan – by Sumita Gose and her organization ‘Rangsutra Crafts Pvt. 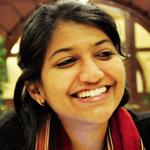 Ltd.’ – a unique community owned SRC of FabIndia. I have been closely associated to this project – “Rang-shiksha” since Jan 2011, working as a consultant for the curriculum development for one-year-long course for the new artisan-design schools in different villages. We are currently running in the 1st year of these schools in 5 villages of Bikaner district. The schools in Lunkaransar, Napasar and Rajasar villages started in August 2011, school in other village started in September and in November in Daily Talai village; after teacher trainings of the local teachers from respective villages through a residential camp at Rangsutra, Bikaner. Starting from the study of various such attempts by other organizations in past – putting them in the right mix and modifying them to suit requirements for the artisans in Bikaner, we worked on developing a design curriculum for Rang-shiksha schools. After study of the above interventions, I along with two dedicated team members from Rangsutra – Anjuman ji and Babita – started the process of understanding the needs and problems faced by women artisans in Bikaner. Anjuman ji has more than 10yrs of experience in community mobilization for various developmental works with Urmool, while Babita is fresh graduate in arts from polytechnic college in Bikaner with expertise in various embroidery, tie-dye and stitching techniques. Three of us as a team tried to understand the requirements of the women artisans in the villages to create a probable solution and implement it in the schools practically. We started with a broad aim to empower young girls and women who are already practicing some craft (mostly embroidery, or sewing) by giving them design perspectives. The overall goal was to provide education and practical skills that will improve the quality of their lives and their work. The process for curriculum design started with insights from discussions with Judy Frater, Prof. M.P. Ranjan and Jogi Panghyal, inspiration from other curriculums mentioned above as well as from the primary research work done in few craft clusters in Rajasthan as well as study of NGOs in this sector while doing research work for the research-project ‘Interventions in Craft Sector’ at IIM Ahmedabad with Prof. Ankur Sarin. Considering the case with women working with Rangsutra, the market linkages were already in place, however, Rangsutra had to put constant effort for quality check and design inputs. The second assumption was that the Design education will also help in developing confidence in the women which would help them take their own decisions and be aware of their environment & surrounding and be able to respond to it according to the needs. Though later as we practically implemented the course in schools we had to add more independent courses and activities for confidence development, as that came out to be a pre-requirement for us to impart design training. To encourage artisans to observe and draw from, their own traditions and others, as part of design process, and, as an integral element of design. To be capable of self-evaluation/critical judgment. To be able to understand, assess and define the different markets. To be capable of information gathering/accessing resources. To be confident in their ability to learn, and practically implement their education. To encourage them to recognize their capability in terms of cost, efficiency and feasibility. To bring ‘aspirational value’ to their products by marketing them with redefined aspirational benchmarks of enhanced sense of well-being or status, rather than commoditizing them. 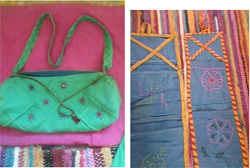 Women and girls working for Rangsutra – who are already traditional/skilled artisans, thus assuming that participants have certain level of expertise in their respective crafts, mostly involved in embroidery. Each batch is expected to have around 25 students. How much dependent are their families on their earning and on their time? What is in it (our education) for them? How do they value it? We planned to have visiting faculty from design education background (academicians or working professionals with relevant experience from NIFT, NID, IDC etc.) to take short teacher-training modules for 3-7 days and serve as guides to the permanent faculty as and when required. Permanent faculty is from the village itself that is trained to teach according to the curriculum – someone who has basic level of education and has ability to train the women in design. It is a common practice in agriculture to ‘turn the soil’ before planting new seeds. To help ‘aerate’ the relationship between artisans and designers… during orientation, we aim to create a good rapport with the artisan women and develop their confidence in us. The orientation week aims to make the school, the teachers and the environment accepted by the women. Basic Phonetic reading, though which they can read sign-boards, names etc. written in English. Master artisans can be invited as advisors to discuss their arts in a professional manner. They will offer practical advice along with traditional – aesthetic expertise. The students study and discuss over the traditional pieces from Rangsutra’s Pattern Catalogue. We emphasize here on how the aesthetics are driven by clients’ history and lifestyles. Thus triggering a discussion on style and technique. Sketching practice – drawings from nature, objects etc. Students should be asked to create colour wheels and painted achromatic, monochromatic and polychromatic schemes, and complementary and analogous combinations. Thus teaching them the colour value. They must be introduced to polarities such as cool-warm, tint-shade, high and low value, bright-dull, by illustrating these contrasts with colour boards. In this process they learn to observe, and see. Later students must give presentation on their work. Many of the students might initially struggle with public speaking but developing confidence over a period of time. Discuss the pattern catalogue again to note its – color combination etc. and discuss the differences and its comparison with what they have created. Each theoretical exercise is to be immediately followed by a short, practical application in embroidery. The students should also be asked to make fabric colour wheels, and stitched a series of small examples for each way to perceive and use colour. They can create traditional designs with monochromatic, natural, and extracted colour schemes. Women should be encouraged to do innovative patterns to make the work appealing and compensate for lack of colours against their habit of using many colors together. Women should be asked to and helped to give presentations to explain their work. This might be new for most of the class. They should be made to practice that to overcome apprehension, and by the mock jury at the end of the class. This will help them develop their own unique way of presenting. The session can begin with a review of the USP of each textile tradition. Seeing pieces from Rangsutra’s collection will assist the artisans in viewing traditional work graphically. They should be encouraged to analyze and critique in detail, and explain the choices that artisans (of the samples under discussion) had made in cultural context. Students should be asked to do daily sketching. This will sharpen their observation skills. They should be asked to bring, say 7 sketches each, before they come for the class. 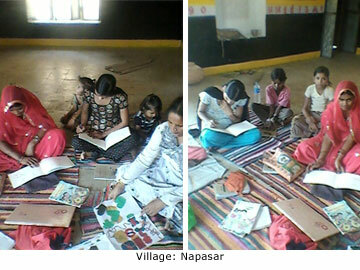 In class, they can paint; make collage in paper cutting etc. to understand line, shape and texture. Each lesson should be reinforced with an exercise in creating a small embroidered example. The concept of negative and positive space, visual and tactile texture should be introduced. Though the exercises they should learn to understand the movement and rhythm in terms of value, placement and contrast, through line, shape, and texture as well as colour. Exercises like creating a color palette with say 4-5 colors, of their own, viz. of their favorite recipe, season, festival etc. will enhance their design ability with limited colors. Then they can be asked to use these to make a composition from their sketches. Students should be asked to give presentations on their creations as classroom assignments and explain the design thinking behind the work. Frequent presentations will help the students review and comprehend different elements of design, as well as to become comfortable with public speaking. The course introduces the importance of the end user in design, and of innovating to fit the client’s taste. The course can began with the women talking over the kitchen for a day – using familiar analogy to discuss the importance of planning and costing. A field trip should be arranged to nearby largest city – probably Bikaner in this case. Before going for this trip, the students should be briefed to develop criteria for critique of their experiences. This can include an introduction to costing, materials and the USP of each craft. If possible they should also be taken to shops that sell hand crafted products, like Bandhej, Anokhi, Fabindia. They should study product display and costing as well as quality since many of them would not have had experience of the stores in which their products are sold. They should be shown magazines like ‘Inside-outside’, ‘Society’ and other interior design magazines to discuss the tastes of their buyers and understand their life-styles. They can be then asked to select one house-hold each and design three different products for these clients. The course can begin with a review of design-work done till now. The students discuss on and critique each other’s design work with perspective of market orientation, costing and concept. They discussed traditions to bring out the concept of “story” or theme which exists in their original work. Discuss on what colour palette they followed and what mood and clientele are their individual products representing. The professional theme boards should then be studied taking examples from books. These examples should be studied until the students perceive stories related visually. Trends should be discussed. Instructor should then guide the students to choose a theme from the season that inspired them most. Using Poster color and magazine swatches – theme board needs to be created individually by each student. In small groups and then individually the artisans can re-define the themes in their own local terms. In the second phase of this course, students should begin to think in terms of products. They should brainstorm about possibilities, and finally short list collections they would like to make. They can create motif banks and layouts. The concept of sampling must be introduced as getting an idea of how the final design might appear. Students should be left free to work in their respective media. The class can begin by creatively utilizing the presentation of homework to role play shopkeepers and customers, thus introducing the importance of presentation. During the class, students will learn to edit and to express in non verbal manners. Brand identity and logos should be introduced. Each student can work on a symbol that could relate to his work, and then a name for his company. Each student can also create her own portfolio. The second half of the course should focus on display of collections. Display and oral presentation should be practiced several times. The students should be asked to make presentations in the classroom, and finally making an exhibition for the final display of the course. For the final presentation, all students’ family members should be called. This will also serves as an important link to the community, who often don’t know what the students have learnt and can do. [KVIC], K. a. (2010). Khadi and Village Industries Commission [KVIC]. Khadi and Village Industries Commission [KVIC] . Aiaca. (2008, September). Case Study: Rangsutra- producer vs. private limited company. (2008-09). Annual Report. Kala Raksha. (2010). Annual Report. Ministry of Textile. Anxo Cereijo Roibás, N. S. Travelling Stories: Mobile Applications for Storytellers. SCMIS,University of Brighton (UK), National Institute of Design (India), Dare (UK). Cabrera V, P. (2.2007). Reflections on design for competitive artisan communities —Towards an approach for the sustainability of local cultures. Artelogi 10 – Käsiteollisuuden Tutkimusseura Ry., Finland. CCI. (2010). Co-Creating, Designers Meet Artisans: Guidelines to interaction. Chandra, S. Gendering English: Sexuality, Gender and the Language of Desire in Western India. 2007. Chatterjee, A. (n.d.). The Indian Craft: Sunrise or Sunset in a Global Market. Craft Revival Trust. College, B. 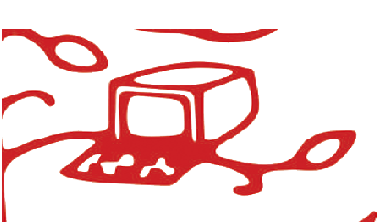 (2008-09). Annual report. Tilonia. Collins English Dictionary – Complete and Unabridged. (2003). HarperCollins Publishers. (2005-06). Diagonostic study of Kota. Dr. Daljeet, D. V. Gallery Sheets of Indian Miniature paintings. New Delhi: National Museum. Frater, J. (2009). Annual report. Bhuj. Gollancz. (1940). India Today. London: British book publishing house. Kak, D. K. (2002, November 16-18). Integrating Crafts and The Education System. New Delhi, Delhi, India. Kasturi, P. B. (n.d.). Transforming the ‘Guru-Shishya’ Parampara: Changing the way training is planned in craft sector. Ahmedabad, Gujrat, India: NID. Kramrisch, S. (1956). Artist, Patron, and Public in India. (2010). KVIC Annual report. KVIC. Levkovsky, A. (1966). Capitalism in India: Basic Trends in Development. Bombay: People’s Publishing House. Mathur, N. (2006, August 5). REHWA: Maheshwari Handloom Weavers. Economic and Plolitical Weekly . Mayoux, L. (2003, September 30). Alternative vision or Utopian fantasy? : Cooperation, empowerment and women’s cooperative development in India. PortSudan . (2010). Mid term evaluation of 11th 5 year plan – handloom. Delhi: NIC. Nehru, J. L. (1946). The Discovery of India. Penguin Books India Pvt. Ltd.
Plowright, P. S. (2005). The Desacralization of Puppetry: a Case History from Rajasthan. New Theatre Quarterly , 21, pp 273-298 doi:10.1017/S0266464X05000163. Pollanen, S. (2009). Contextualizing Craft: Pedagogical Models for Craft Education. The Author Journal Compilation . Prasad, D. (2005). Maintenance of Traditional Occupation: A Case from the Telugu. J. Soc. Sci., 11(2): 141-149 . Ramakrishnan, K. (1999, March 21 Sunday). An umbrella for craftsmen. Special issue with the Sunday Magazine – The Hindu . Ramaswamy, V. (2004). Vishwakarma Craftsmen in Early Medival Peninsular India. BRILL. (1950). Report. Radhakrishnan Commission. Roy, M. L. (2004). Handmade in India: Traditional Craft Skills in a Changing World. World Bank. SEWA Website. (2011, July 30). Spodek, H. (1994). Review: The Self-Employed Women’s Association (SEWA) in India: Feminist, Gandhian Power in Development. Temple University. UNIDO. (2002). Case Study: Cluster Intervention in Kota. Kota: UNIDO. Venkatesan, S. (2009). 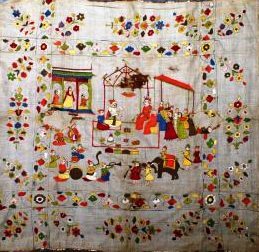 Rethinking agency: persons and things in the heterotopia of ‘traditional Indian craft’. Journal of the Royal Anthropological Institute 15, no. 1 . Pollanen, Sinikka. 2009 Contextualising Craft: Pedagogical Models for Craft Education, The Author Journal Compilation. NSEAD/Blackwell Publishing Ltd.
Gose, Sumita. May 2010. Brief for Rangshiksha Schools, Rangsutra India Pvt. Ltd.